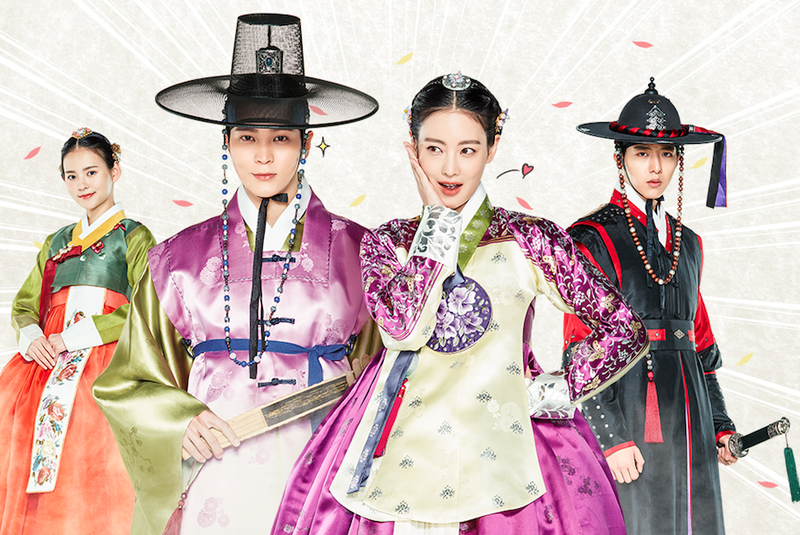 Viewers in Asia are in for a treat this May with the premiere of new drama series My Sassy Girl at the same time as Korea on top-rated Korean entertainment channel ONE! 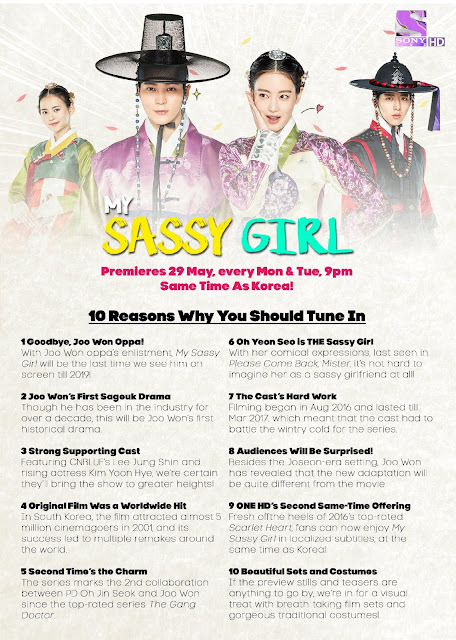 Headlined by A-listers Joo Won (The Gang Doctor) and Oh Yeon Seo (Please Come Back Mister), the television adaptation of the hit movie of the same name will premiere on 29 May and air every Monday and Tuesday at 9pm, with localized subtitles in English, Chinese and Bahasa Malaysia. Though the original movie has seen various adaptations over the years, including a Japanese drama series and an American film remake, the new blockbuster television remake introduces a twist – it will be set in the Joseon era instead of the modern-day. The 16-episode drama is helmed by director Oh Jin Seok (The Gang Doctor) and will be fully pre-produced. Anticipation for the drama is heightened as it is set to be lead actor Joo Won’s last drama series before his mandatory military enlistment. He will be reuniting Director Oh in their second on-screen collaboration since the hit series The Gang Doctor, which aired on ONE in 2015 and propelled the channel to become the top international channel during its premiere timeslot. 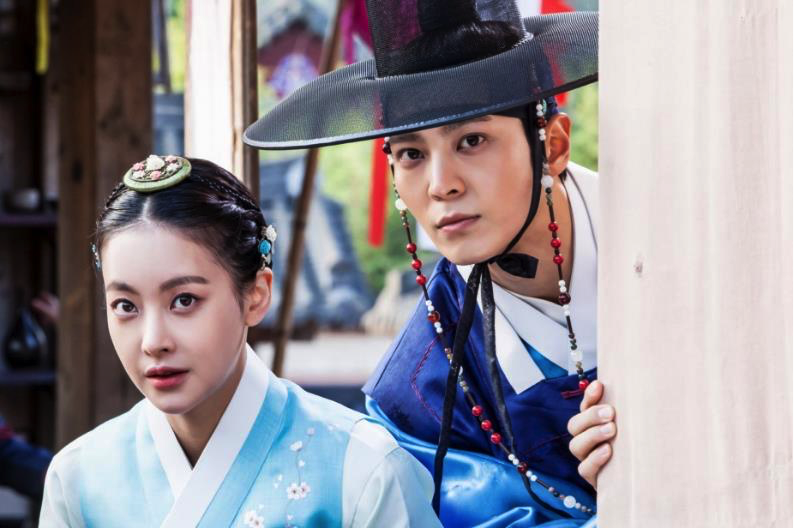 My Sassy Girl will feature Joo Won as a handsome and intelligent scholar who is ‘full of himself’, while leading lady Oh Yeon Seo plays the beautiful but eccentric Princess Hyemyung. The series will present a light-hearted romance between the two leads set against the backdrop of political intrigue in the Joseon era. My Sassy Girl premieres on ONE on 29 May and airs every Monday and Tuesday at 9pm, at the same times as its Korean telecast. ONE is available in Malaysia on Astro Ch. 393.